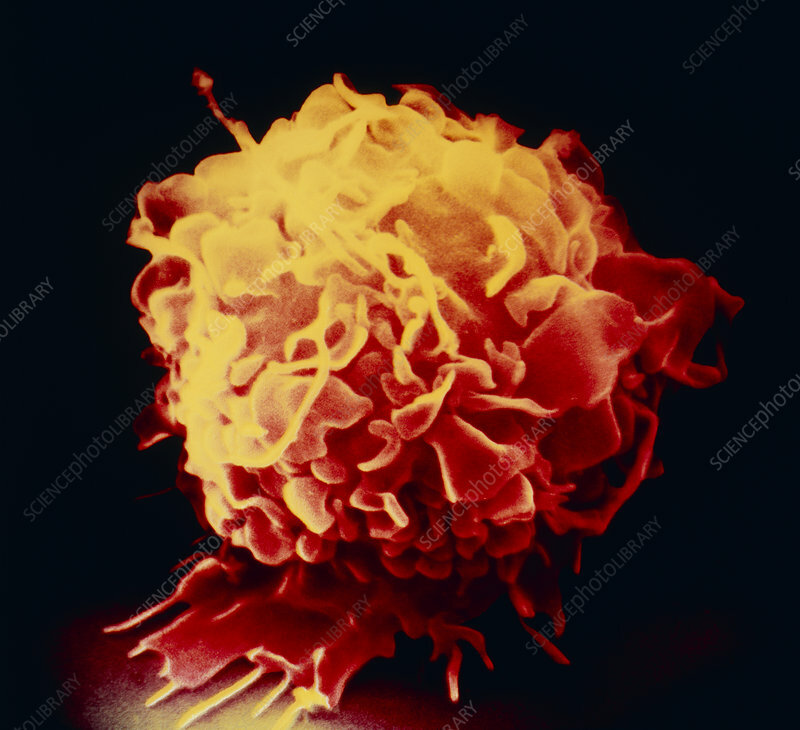 Coloured scanning electron micrograph (SEM) of a macrophage cell moving over a surface. Wandering macrophages are monocytes from circulating blood that function to defend the body against invasion by foreign organisms. Macrophages migrate to tissues, notably in the lymphatic system & lungs; certain types of macrophage migrate to sites of infection. In an active state, as here, the cell spreads out using its frilly cytoplasm as arms to draw itself along the substrate as it seeks and engulfs particles. Macrophages can also detect antigenic (foreign) substances during the initial stage of the body's immune response. Magnificat- ion: x2600 at 6x6cm size.